Fitness goals need to be carefully evaluated to make sure they are attainable and practical. Setting a goal to lose 20 pounds in 2 weeks is unrealistic and will not be carried out successfully. When setting fitness goals for ourselves, we are quick to establish numbers without knowledge of exactly how we should set them to keep ourselves accountable. It is simple to determine that you want to lose 20 pounds and start exercising 5 times a week. The difficult part becomes determining exactly what measures you will take to lose those 20 pounds by planning how and when you will exercise. By careful evaluation of what your body can handle while determining a practical time frame, you are in control of keeping your fitness goals more realistic for you. Fitness goals need to be carefully evaluated to make sure they are attainable and practical. Setting a goal to lose 20 pounds in 2 weeks is unrealistic and will not be carried out successfully. A Stanford University study in 2011 concluded that individuals are more likely to remain motivated and accomplish a goal if it is defined in vague terms than if it was a precise, strict plan. An example of this would be setting a weight loss goal to lose somewhere between 10 and 20 pounds of weight within the next year. Results of the study indicated that a vague presentation of information, like using numerical ranges, allows individuals to use the information in their favor. This method can help to lessen anxiety about not reaching the exact result you would have hoped for. When drafting your fitness goals, it is essential to simultaneously determine the methodology that you will use to attain it. These could be specified times and frequency of planned exercise per week. The type of workouts you will complete each day should also be carefully outlined. With established methods in place, you are more likely to set short-term realistic goals that fit your fitness level. Setting too lofty of a goal seems to be a common barrier and excuse for procrastination. More practical, short-term goals that have less concrete numbers attached to them will help you to make physical activity a regular part of your daily life. Fitness goals should be exciting and encouraging and should not evoke stress or anxiety. Talk to a fitness expert to determine realistic fitness goals for your body and for advice on the workouts that can help you attain results. The more the goal caters to the individual, the greater the chance of success. Corbin, C. B., & Le Masurier, G. (2014). Fitness for Life, 6E. Human Kinetics. Hoeger, W. W., & Hoeger, S. A. (2016). 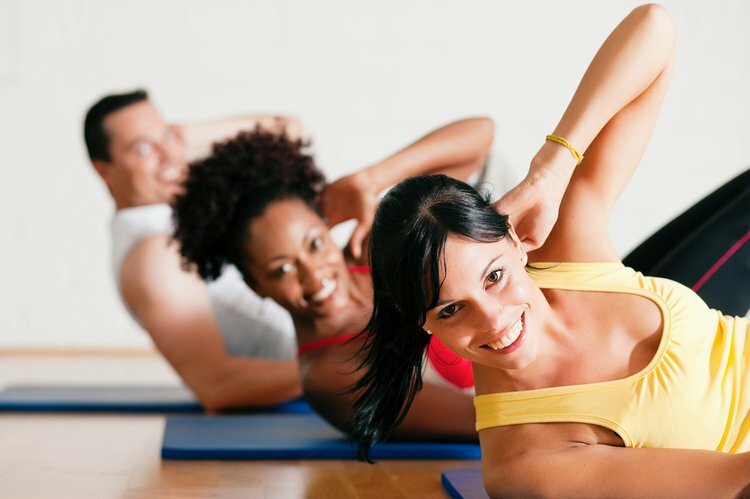 Lifetime physical fitness and wellness: A personalized program. Nelson Education. Powers, S. K., Dodd, S. L., & Jackson, E. M. (2013). Total fitness & wellness. Pearson Higher Ed. Castelli, D., & Williams, L. (2007). Health-related fitness and physical education teachers’ content knowledge. Journal of Teaching in Physical Education, 26(1), 3-19. Turner, B. J., Ownsworth, T. L., Turpin, M., Fleming, J. M., & Griffin, J. (2008). Self‐identified goals and the ability to set realistic goals following acquired brain injury: A classification framework. Australian occupational therapy journal, 55(2), 96-107. Bushman, B. A. (2011). ACSM's complete guide to fitness & health. Human Kinetics.